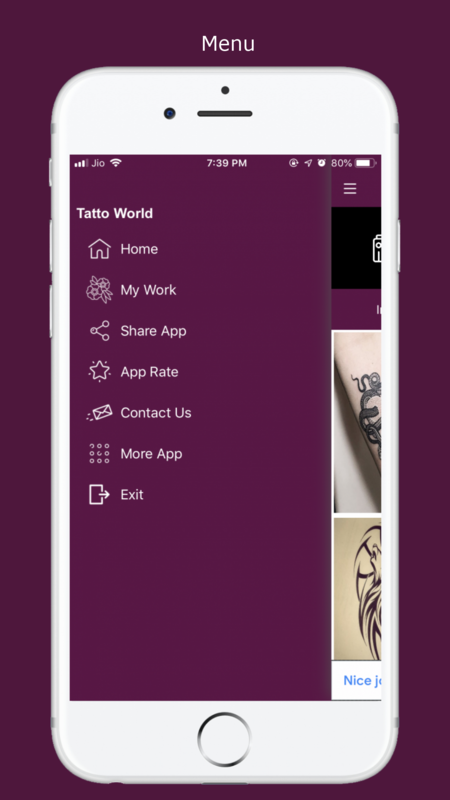 “Tattoo World” is application provided nice tattoos for everyone, with a simple interface and easy to use, it will create wonderful tattoos photo with high definition, also provide video and sample image, light and fast. Easy to use and quickly save and share, you can manager saved photo with many functions as editor, delete, sticker, view detail, etc. 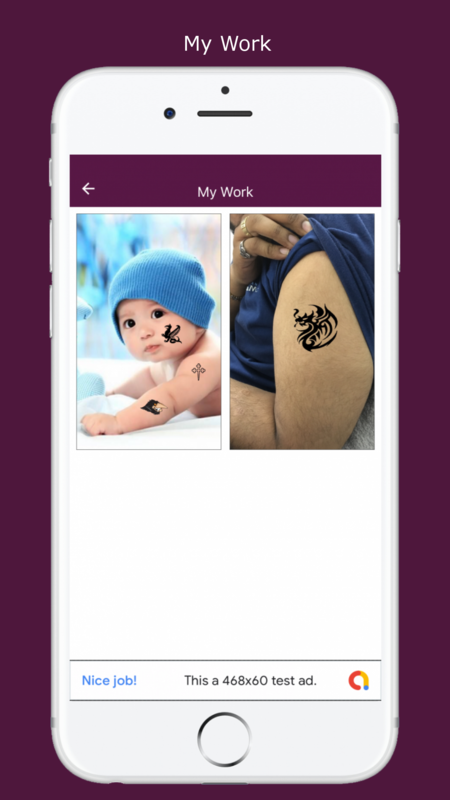 provides effects and design professional will give you the best tattoos for photo for everyone. it is suitable for anyone? 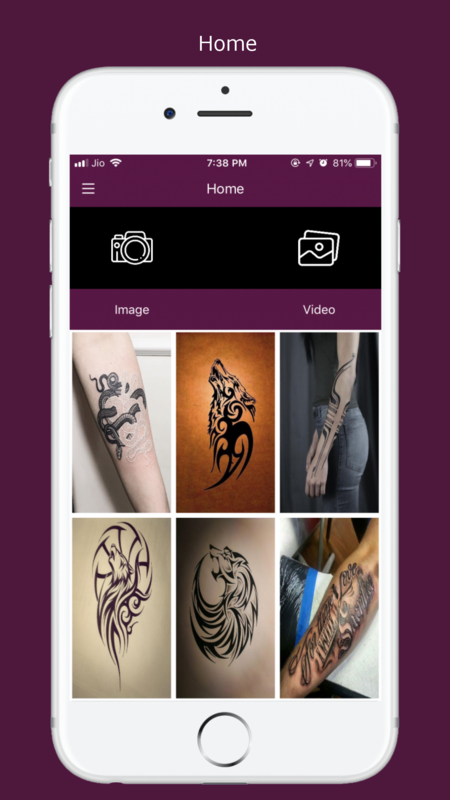 ” Tattoo World ” is suitable for everyone, especially for men and women want to create wonderful tattoo photo from their photo. 1. Select photo from the gallery or take your photo using camera option. 2. 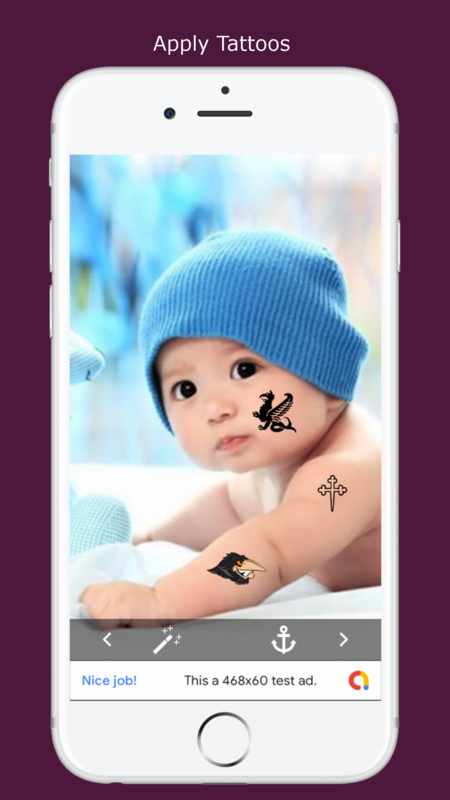 Select one or more tattoo and set it on your photo. 3. 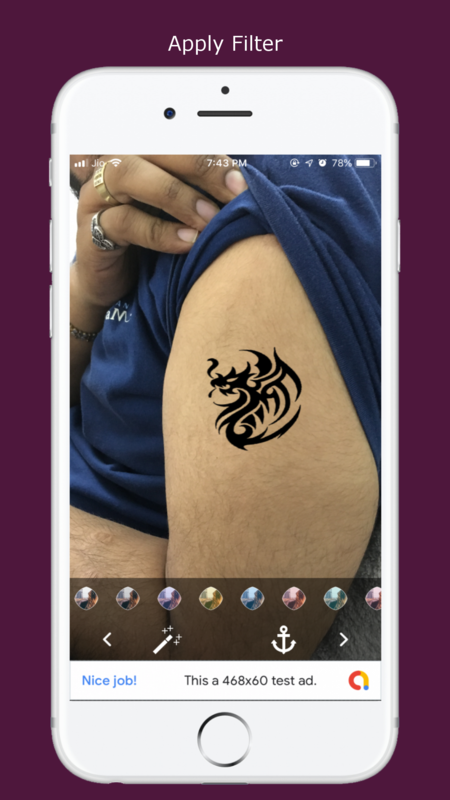 Use easy zoom in zoom out feature or rotate and set tattoo on your body. 4. 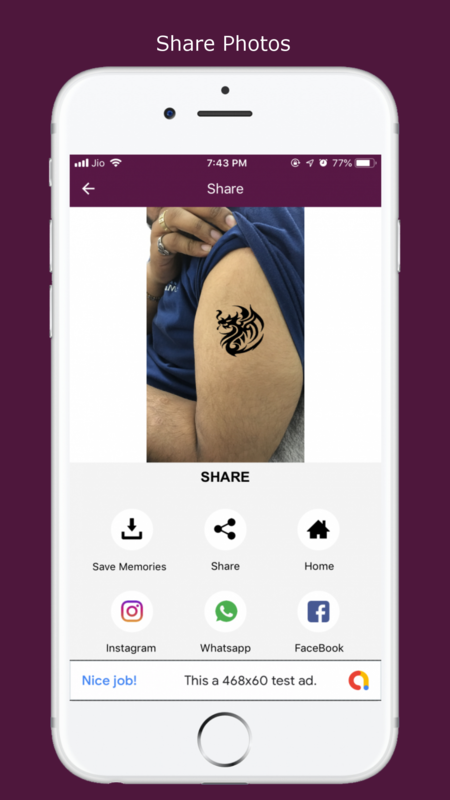 After complete the tattoo photo, save it in your Phone memory or share in social media platform. 5. Also provide video and sample image. 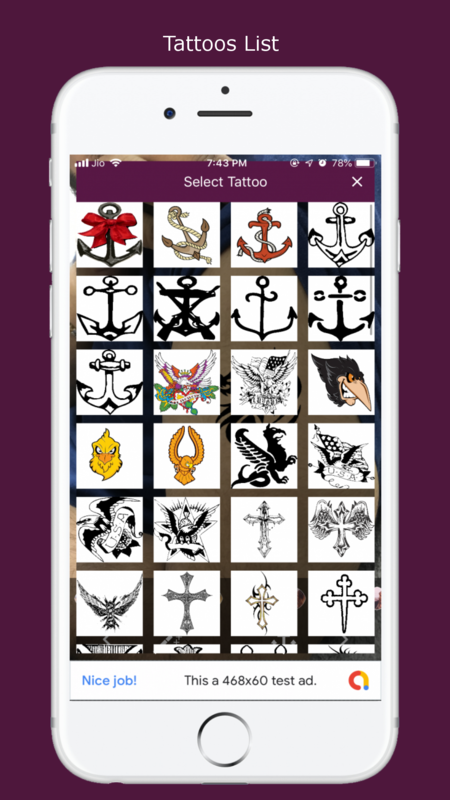 Note:- We set free available Tattoo in “Tattoo World” Application.we do not tack responsibility. 1. Upload app in app store. 4. if client need more Tattoo we add. 2. We provide support through Skype, Email and Mobile. Business Hours : 10:00 AM to 08:00PM.